Learning to aggregate your free classified ads can save you time and money in the long term when it comes to improving your brand's awareness. And what does aggregate mean? When referencing online material, aggregation refers to the act of sharing a newly created, blog, article, and in some cases, classified ads. 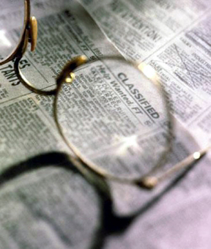 Aggregating your free classified ad is a sure-fire way of gaining more coverage for your ads. The only easy way that won't take up hours of your time is to utilize a free classified ad site that supplies users with social bookmarking tools or even social bookmarklets. Don't waste your time on classified ad sites that cannot provide the added value of social bookmarking options to your ads! If you are using a classified advertising site that does not supply its users with social bookmarking tools, I suggest you look around for another. Not just for one simple reason. Social bookmarking tools are proven to help spread the word on products or services and sites that are not utilizing them are also showing a painful disdain for their customers ads. Without these tools it is always possible to aggregate, but with them, the time spent doing so is cut in half at least. Make sure that for each ad you post you take the time to send them off via the social bookmarking tools provided by the best classified ad sites. Always take the time to acknowledge the Big Four of Social networking sites as well. Once your ad has been created following this simple set of steps will gain you greater coverage than you may have imagined for your product, services, or opportunities. Take the time to respond to ANY comments to ANY of your aggregated links!! One of the main keys to positive results with social aggregation is to interact with anyone who shows interest in what you have to offer. Consumers are fed up with elusive customer service and contact and increasing your brand is just a few interactions away from going digital word-of-mouth advertising, which in essence, is exactly what social aggregation achieves! Keeping up with sites like Alexa and their Top 500 can help you to be sure you are posting to the highest viewed and shared sites. Keeping up with the most trending topics will help you to receive alerts and updates that could give you quick insider tips to get ahead while others are still trying to learn the rules! Good Luck in Free Classified Advertising!! New Info in Classified Marketing Trends? Share it here! Redgage best sharing and earn site to make money. You can share links also with pics, vids and documents too! A search engine for user-created pages and articles. Redgage is a social bookmarking site that pays for your content. Links, photos, articles, videos and blogs can all earn as visitors view them.